Hopefully this list will continue to get longer. I'll update it as necessary. At the Energy Bulletin review by Roy Smith "I would highly recommend this book to anybody seeking to explore the spiritual ramifications of the crises our industrial civilization faces. 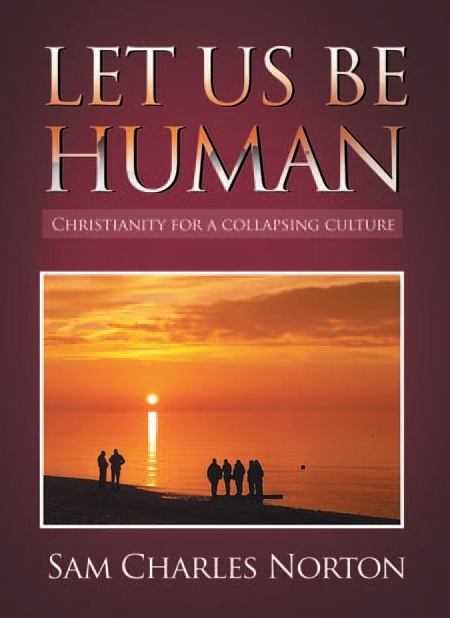 It is concise and well-written, and possesses the unique strength of being written by one of the few people I am aware of who has an equally solid grounding in Christianity and theology on the one hand and in the issues of resource depletion and the limits to growth on the other." Jeremy Williams at Make Wealth History "If you move in mainstream Christian circles at all, you’ll know that Norton is swimming against the current here. In my experience at least, the church is no more aware of the growth dilemma than the general culture is. That’s a shame, because churches should be natural hubs for imagining an alternative lifestyle together – that’s pretty much what they’re for. Churches don’t build community, they are community. There’s a vital opportunity there if we can learn to see it, and Let us be Human deserves a bigger audience." At Amazon.co.uk "In this brilliantly insighful book Sam takes us on a broad brush journey. 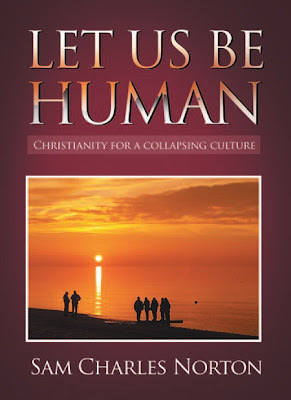 He highlights the failings of our current culture and the failings of the Church to really engage with it... A definite 'Must Read' for anyone who wishes to be part of the emerging discussion surrounding what it means to be human and Christian in our time." A comparison between my book and Tarkovsky's 'Sculpting Time' by Jonathan Evens at Between "both have been addressing the same issue; that only by becoming more distinctively Christian can we engage constructively with the crises of our times." Mad Priest is nice to me "THE BOOK on the Peak Oil crisis and what Christianity's response to it should be. It's a serious book but it is perfectly intelligible to non-experts like me. In fact, that is the point of the book. It is designed to get us all up to speed on this major issue of our times." It's available here, and it's very cheap on Kindle.